Robert Glasper On How To Get More Young People Into Jazz The virtuosic jazz keyboardist joins Stretch & Bobbito for a wide-ranging conversation about his earliest music memories, the first time he met Dr. Dre and why he's trying to get more young people into jazz music. 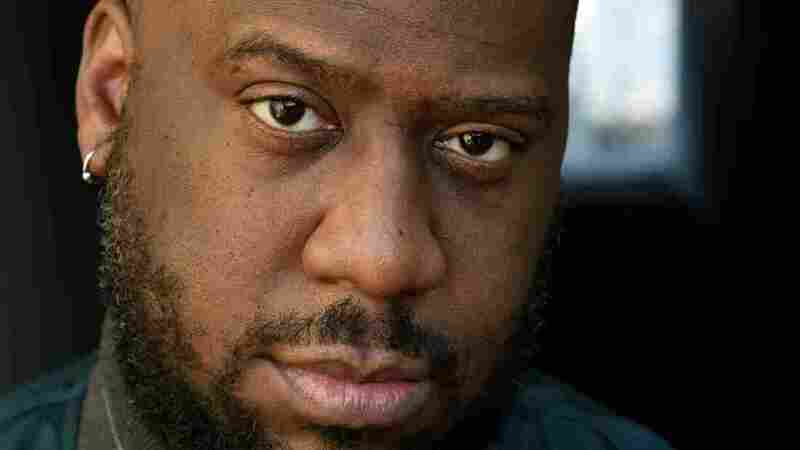 Virtuosic keyboardist and composer Robert Glasper wants to change our assumptions about jazz music. Though he is a student of the genre with an encyclopedic knowledge of those who have come before him, Glasper's music has pushed jazz forward by fusing it with hip-hop and R&B — and genres more popular today with younger audiences. "I want kids to look at me and say, wow he looks like me and to get inspired the way I was," said Glasper, when talking about an early experience seeing Roy Hargrove play at his high school in overalls and Timberlands, instead of a suit. "They don't want you looking like their principal. They don't want to be that. You want to be what you see." Glasper is often cited as a gateway into jazz for younger audiences who might view the genre as stuffy or something their parents listen to. His wide array of collaborators, from The Roots and Erykah Badu to Kendrick Lamar are a testament to his talent and flexibility as an artist. 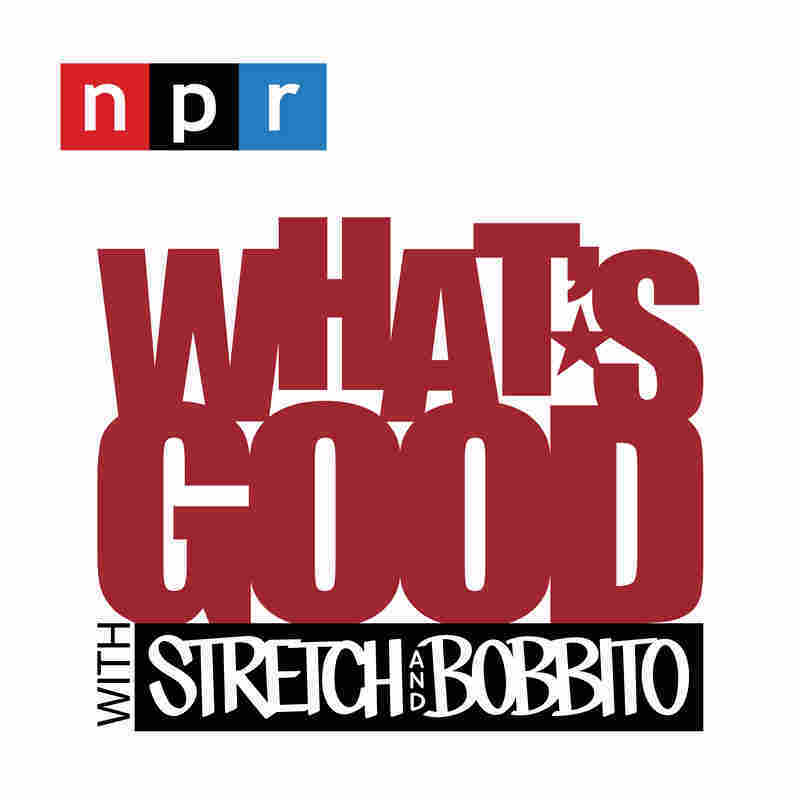 Glasper sits down with Stretch & Bobbito for this final episode of What's Good's second season to talk about his earliest music memories, the first time he met Dr. Dre and how he's bringing more young people in to jazz music. My earliest musical memories are from my mom. My mom was a singer and a pianist and she sung all the genres, man, funk, jazz R&B...she didn't sing hip-hop, but, gospel. I remember I literally remember being like 3 in rehearsals sitting against the wall watching, falling asleep, waking up and they're still rehearsing. To the point where my mom, you know she wasn't a big fan of random people watching me, like, babysitters. She needed to be around me. If my aunt couldn't watch me, no one was watching me. She used to bring me to the club when she was performing like during her set so she would have me in the back room and have the waitresses she knew walking in and checking on me while she's doing her said to run out between songs and check on me. I was in the club. Once I started driving, in Houston I was like 14. You could drive. I had to drop her off at work which is this bar called the Bistro Vino in Houston. When I would pick her up from work around midnight...I used to have to park the car, go upstairs and I had to play the last song with her. The bartender knew the director of the high school for the performing visual arts. He was like, 'Yo, your son's really talented. I can hook it up to where he could get an audition for this jazz director at the high school of the performing arts. It's only one there in Houston and you had to be zoned to it to go but he was like he needs to go there. So I went there, auditioned, crushed it and I ended up going there. That really pushed me to be at the high school with that much talent. First of all, it was the first thing I ever did, soundtrack wise. So, Don Cheadle tweeted me. That's how I got the part, he tweeted me. He's like, 'Yo, I love music,' and I was like, 'Thanks. You're Don Cheadle.' That's literally what I said back to him. I just couldn't believe it. It's my first celebrity tweet. I've never gotten on before, I was super hyped...A lot of people don't know, Don got a scholarship to college for saxophone, he's a musician. I remember when I got liberated, I remember the day. I was a senior in high school and Roy Hargrove came to my high school and he had on overalls and Timberlands. I couldn't believe it. First of all I'd never seen an all-black band. So this is my first time seeing an all-black band and it's jazz. It shouldn't be like that that's what it was. Never seen that before. And they all were dressed like me and they looked like me. That inspired me to be who I am. I was like you can be who you are right now, still have the language, practice and be one of the best at what you're doing and still be you, know what I mean? Most jazz musicians like you have to wear a suit and tie every time you play, because back then, when you're a black, you had to wear a suit and tie to get any sort of little respect. Getting respect shouldn't have anything what you have on, and as a man I want you respect me as a man who I am that because I wear a suit. So that's why I'd never wear suits except when I'm going to the the Grammys. I think jazz is just a male-dominated sport and I think a lot of females get run over by that. There's a lot of sexism in music in general...There's just an imbalance. It's not that female jazz musicians are lacking, like there aren't any out there. They're out there and there's a lot of good female jazz musicians, great female jazz musicians. But it's just one of those things where I think guys have to pay more attention and bring it to the forefront and try to change it. It's like white people change helping to change racism. It takes somebody white sometimes to be like 'No this is how that happen.' And then people start listening. So it takes men to start saying, like, 'Hey bro she's dope. Why are you not using her?' You know what I mean? I'm just I'm trying to be more aware of that myself and try to change that narrative. I think a long time ago, white people made jazz into like something you sit down and you appreciate, like golf or some s***. They took the dance floor away put chairs in it, you know what I mean? And then for a long time we weren't allowed to go to jazz clubs. Black people weren't allowed to go to jazz clubs. Even the people who were performing, the artists you went to see wasn't even allowed to come in through the front. You know they had to go to the back to the kitchen and you know we were treated like s***, but we were the main act. So it's not something that we're used to doing, going to jazz shows is not something that's normal. So I think it has something to do with that. I think black people just love new stuff. Like when you go to jazz clubs you see older white people. It's not like you're seeing a bunch of young white people.